Our motorbikes crossed flimsy bamboo bridges in western Sagaing Division, a landscape still showing the devastation of 2015’s floods. Shifting gears up a twisting, muddy hill trail took us over the border to Chin State. There, several villages are tucked into the forested slopes of Mwe Taung and Phar Taung (Snake Mountain and Frog Mountain). I was visiting Phar Taung with Chinland Natural Resources Watch Group (CNRWG), a small but resolute organization of young environmental ground-truthers. On reaching Dimzang village we were greeted with tea leaf salad and smoked venison. Dimzang is home to Zomi ethnic subsistence farmers who supplement their crops by hunting and gathering bamboo in Phar Taung’s forests. Loggers from Sagaing Division often clear cut trees there. “The logging is done illegally, but we cannot stop them. The government doesn’t take action,” a villager complained. Many of Dimzang’s young people have left to work in Malaysia or Singapore. Since the 1960s,Mwe Taung and Phar Taung have been known to contain significant ferronickel (iron-nickel ore) deposits, distributed along the fault line where the India tectonic plate crashed into Southeast Asia. Nickel is used for stainless steel and rechargeable batteries and there are nickel mines in many countries, including Russia, Canada, Australia, and China. Ferronickel is mined with earthmoving equipment in a strip-mining mountaintop removal process. Risks include flooding from soil erosion and watershed destruction, waste tailings dumping, customary land use loss, and biodiversity degradation. Ferronickel mines have been besieged by violent protests over pollution in New Caledonia and several in the Philippines have had their operations suspended due to environmental damage. Burma currently has one ferronickel mine and processing factory: Tagaung Taung in eastern Sagaing Division, operated by China Nonferrous MetalMining Group. Tagaung Taung has been the target of protests over land grabbing, pollution, and exploitation of workers. Geological surveys conducted for China’s North Mining Investment Co Ltd in 2013 found three significant ferronickel ore deposits at Mwe Taung and Phar Taung. The company drew up plans for processing the ore and shipping nickel via the Chindwin River for export to China. According to North Mining Investment materials, it was to be a $486.7 million project, with the nickel processing plant to run on coal power. In early 2013 attempts were made to sell the villagers on ferronickel mining’s benefits. “From the government in Tedim [Chin State] they invited us to have a meeting at the school. They said if we have this mining project, do you agree with that? So we said no, definitely not,” Dimzang resident Anthony U Go Za Khup recalled. Chin political parties and civil society groups including CNRWG conducted surveys of Mwe Taung and Phar Taung villagers and publicized their objections to the North Mining Investment project, particularly lack of transparency and fears of land grabbing. CNRWG made a formal complaint about the project to the government in Naypyidaw in late 2013. In June 2014 Than Tun Aung, Deputy Minister for Mines informed Parliament that North Mining Investment’s nickel mine project was still under review, pending approval. As there has been no activity on the project since then, North Mining Investment is believed to have withdrawn. With the large scale Chinese ferronickel project in limbo, some informal mining took place. 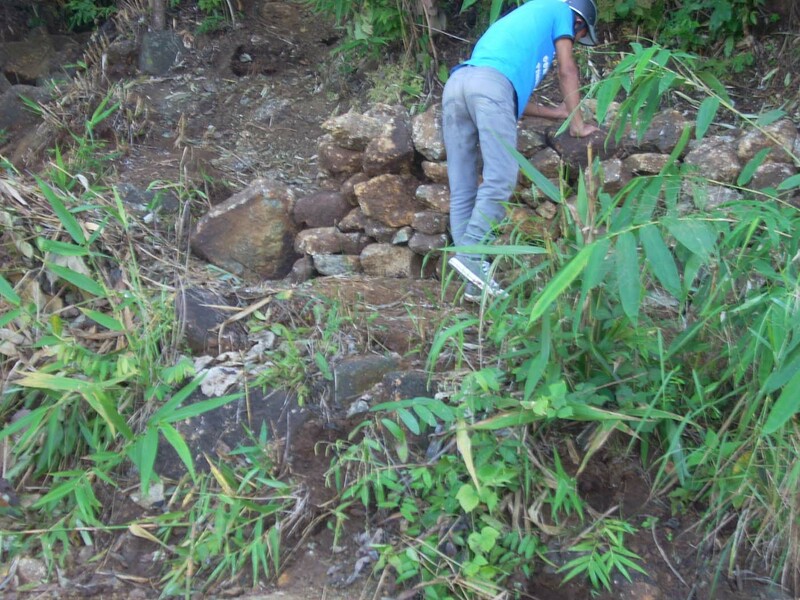 Dimzang villagers told us that in 2014 “people from Mandalay” asked to buy rocks from Phar Taung and took them away in small quantities, a few kilos at a time, perhaps for samples. Neat stacks of heavy, rough-textured ferronickel ore can be spotted along the mountain trail, remnants of small-scale demand that apparently didn’t last for long. A new investor appeared the next year. “In October 2015, 3S Company, belonging to a man from Mizoram [India, neighboring Chin State] came. They forced local people to sign that they are in favor of the mining; some did, some didn’t. We then learned this is not from the government. After that the government said they are stopped now,” Salai Kham Za Vungh said. CNRWG is investigating a possible effort by 3S Company to have the border demarcation changed, in order to placethe ferronickel deposits under jurisdiction of more mining-friendly Sagaing Division instead of Chin State. The Zomis living near Mwe Taung and Phar Taung remain alert to signs of mining activity on their mountains: “In November 2016 we saw Burmese people from outside coming to look at this mountain, to get information. People we don’t know. 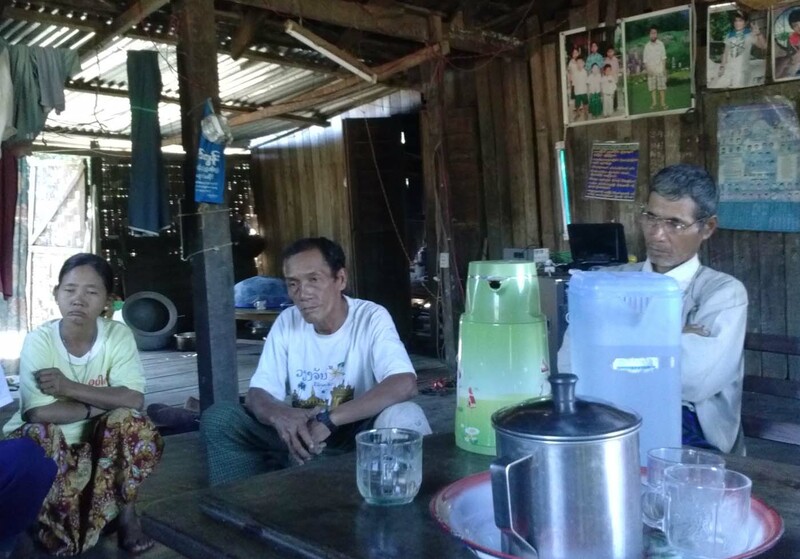 From time to time people seem to come and check on it.” This kind of grassroots monitoring is key to preventing mining companies’ incursions into Chin State and strengthening environmental protection in Sagaing Division. The forested mountains of Chin State must be preserved to protect Sagaing’s agricultural plains and towns from more massive floods. Mining and logging threaten this vital watershed.